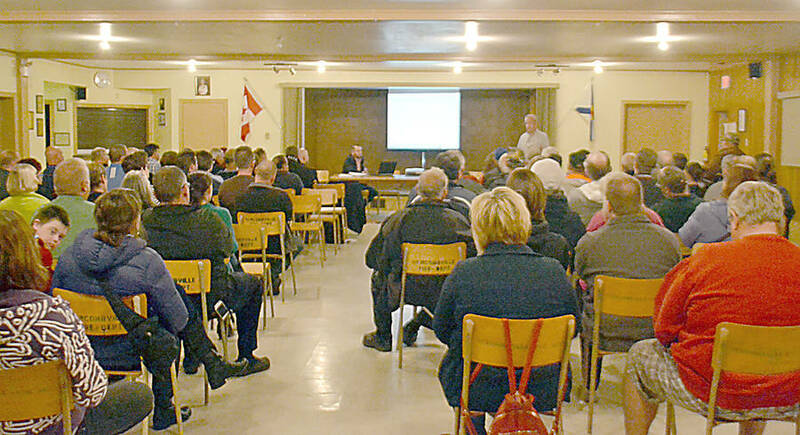 It's a chance for residents of the Municipality of the District of Lunenburg (MODL), the Municipality of the District of Chester (MODC) and the Region of Queens Municipality to quantify the quality of their Internet connections in the hope of persuading government to take the necessary steps to improve their service. MODL, MODC and Queens are collaborating on an Internet speed mapping project, which they are officially rolling out this week with I-Valley, a not-for-profit movement aiming to create so-called smart regions and communities in Nova Scotia. "The information gathered from the Internet Performance Test will assist the Municipality in selecting where to make investments in Internet to serve those most in need," Sarah Kucharski, MODL's communications officer, explained in an e-mail to LighthouseNOW. "It will give us real time, up-to-date, accurate information that's not available from the ISPs (internet service providers) as their service data is proprietary and they don't make that information publicly available." The test is meant to map the digital divide for rural communities, and help municipalities prioritize those areas with poorer service. Developed by the Canadian Internet Registration Authority (CIRA), the test offers a way to collect highly detailed information about the quality of internet service. It measures some 100 different Internet connection factors beyond the speed of the network, to give planners information on how much delay is in a connection and the ability of your computer to connect with the latest Internet Protocols. Judging from current speeds, it looks like the tests are warranted. When Kucharski demonstrated the test to the council members, the internet speed in the chambers was 2.4 Megabits per second (Mbps) upload speed and 30 Mbps download. The Canadian Radio-television and Telecommunications Commission has set a target of broadband Internet speeds for Canadian households and businesses "of at least 50 Mbps for downloads and 10 Mbps for uploads." Councillor Michael Ernst, who lives on Hirtle Cove Road outside of Mahone Bay, noted that he has Aliant high-speed Internet which is supposed to be 15 Mbps download speed. He registered a 1.5. "But we pay for high-speed." She told the councillors that when her son did the MODL speed test there, "It was .63." And she insisted the service by the lake is actually better than at her home in Baker Settlement. Bolivar-Getson said that her son connects at 120 Mbps in Bear's Lake. "I can't even relate what 120 would be like here," lamented the mayor. When this reporter undertook the test in the middle of the day near Big Lots Road froma Eastlink connection, the upload speed registered at 0.3 Mbps and download at 0.9 Mbps. While residents have been complaining about the situation for some time now, initial results of the test seem to be confirming rural Nova Scotia is a long way from the CRTC's target. According to Kucharski, the goal is to have at least 50 per cent of the households in the municipality registering their speeds at least once. "But I would be really pleased if we could get it closer to 60 or 70 per cent," she told MODL councillors in a presentation on the test at the July 10 council meeting. While staff will collect data beyond September 28, they are setting that as a cut-off date to prepare a report to council. Although area residents and the municipality have conducted Internet connection surveys before, they were less empirical than the test now on offer. "And the more people that take the test and the more frequently they take it, the better," says Kucharski. "So if they have a household with a lot of kids in it streaming a lot of data, they might want to do a test in the middle of the day when the kids are home. "They might wan to do another test at two in the morning when everyone's asleep but them." Since speeds and performance of the connection can vary throughout the day from any one location, the test tracks the date and time of day that the test is done. This data is important because it will demonstrate whether providers have a loading issue based on time of day and which may need to be corrected or improved. The test provides averages for a neighbourhood district but keeps the details for each dwelling. "It all matters when we are designing networks on a small-grain level," I-Valley told Kucharski. She explained that the program guesses the location of the household, initiating the test based on its connection, or the location can be manually corrected by the homeowner if the program locator is wrong. Those who don't have Internet at home or at their place of business are advised to go to a public library, or a friend's or family member's home that has an Internet connection, direct the pin to their home location and click the space that says, "I don't have Internet." Kucharski recognized MODL will have lower uptake on that, because it's harder for people to get out or remember when they are to go online and register that they do not have Internet service. "If you know of people without Internet please encourage them to do so," she advised the councillors. The test is designed to take less than 30 seconds.